When Stephen King decided he wanted to create a story with all the classic monsters, such as Frankenstein and the Wolf Man, he decided that the best way of doing it was if there were all part of a single shape-shifting creature, one that would take the forms of these monsters. The result was his 1986 Novel ‘IT’, which introduced us to a trans-dimensional creature which calls it’s self Pennywise, and which a small group of “Loser” kids nick name ‘IT’. Director of the ghostly horror film ‘Muma’, Andy Muschietti, has taken on King’s story for a modern take on the terrifying story. And despite the many production troubles which saw the film stuck in development hell, ‘IT’ is finally here. But was it worth the long wait to see Pennywise on the big screen? We first heard about ‘IT’ way back in 2009, when Warner Bros announced that David Kajganich would be adapting the novel, with the studio stipulating a single film, but this quickly fell apart, and the studio soon realized that a single film just would not work out. Moving the production over too New Line in 2012 Cary Fukunaga boarded the project as director and co writer. However, Fukunaga clashed with the studio and soon dropped out of the production. It was not until 2015 that Andy Muschietti stepped in. Despite a handful of scripts and years of delays, the final outcome is amazing. ‘IT’ is a deeply emotional, dark and terrifying film, and one that is already breaking box office records. There are two types of people going to see ‘IT’, those who have read the book and those that have not. It’s no surprise to me to see that many of the people giving ‘IT’ a bad rap, are the same people who have read the book. Look, guys and girls, it’s so hard to adapt a book accurately, and sometimes to changes have to take place in order to get the story to work. It only had a small budget, and no guarantees that a second film would happen. So director Andy Muschietti had little choice but to make a stand alone story, that would fit the budget but stay as true to the novel as he could. I’ve read the book, and I found ‘IT’ to be a film that, despite the dramatic changes to the story, clung to it’s heart in a chocking death hug of nostalgia. OK, so this is not the story presented to us in the novel. The dates have all been changed to land the adult versions in modern day, the barrens are relegated to a brief scene and the house on Neibolt Street plays a much larger role. Do these changes impact dramatically on the overall story? No not really. It’s far too easy to get hung up on these silly little details, when you should be looking at the most Important elements of the story, which is the relationship of the kids and of their shape-shifting antagonist. If ‘IT’ does one thing well, it’s establishing the many characters. We meet the self-proclaimed Losers one by one, each kid coming with his or her own emotional baggage weighing them down. Bill’s searching for his missing little brother, which is what propels the story forward. Beverley has an abusive farther, Eddie has an overbearing mother and Stan an oppressive Rabbi farther. We see little of Ben’s family and the primary concern for him is bullying. Mike however, gets the biggest change to his story, seeing his mother and father killed in a fire. However, I suspect that this might have been last minute changes to the story to simplify the explanation of mikes greatest fears. Out of all the kids, Richie’s backstory is just never explored. 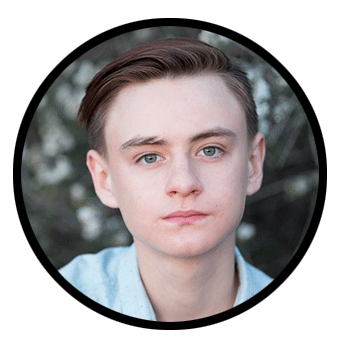 Another character that we follow, is that of the angry young Henry Bowers, whose story is more closely aligned with the books other antagonist. 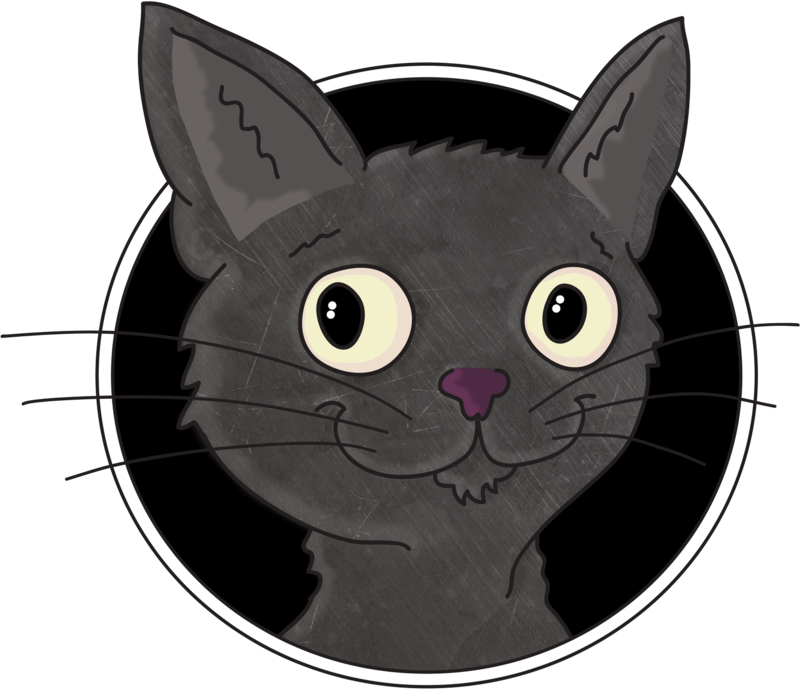 In fact, if you take a portion of Henry’s story from the mini series and a portion from the new film, you’ll get a much closer look at the crazed character. That said, his friends are left with very little screen time, and the introduction of one of the books more interesting characters, Patrick Hockstetter, is done quite poorly. In the book, Patrick is a psychotic lunatic that tortures animals, keeps dead flies in his pencil case and gives Henry a “happy handshake” in the barrens. Sadly, his presence in the film is nothing more than a “Red Shirt”, which see’s him encountering Pennywise earlier on in the film. As you can imagine, it does not end well for Patrick. With the emphasis on the kid’s trauma, what is lost to the cutting room floor is this their future careers. In both the book and 1990 TV-Mini series, we get a glimpse of the kids future success, with Bill’s writing, Ben’s engineering and Eddie’s navigation. But here they are dropped entirely, in favor of a more focused story. No doubt we’ll see how things turned out for the “Losers” in the second part of the story, but for now, the film just doesn’t worry itself about things that do not propel the story along. The young actors portraying the Loser really pull off an amazing performance, presenting a film that reminds me heavily of the vibes from another Stephen King based film, Stand by Me. It’s easy to get swept along with them, as they live, love and play in the little town of Derry. But things start to fall apart when they discover that they are being hunted by something sinister. 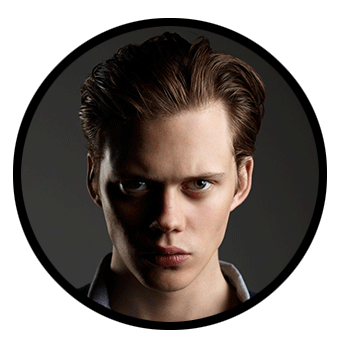 Bill Skarsgård is the man responsible for tormenting the young kids, bringing the clown shaped Pennywise to life, and whilst some may think of him stepping into the shadow of Tim Curry’s portrayal, from the mini-series, I think he overshadows Curry in a powerful and dynamic performance that will thrill and chill the audiences. His introduction, which sees him meeting Bill’s brother Georgie, whilst in a drain, shows off a wide range of interesting and telling quirks. His initial reveal is a little disconcerting, popping up from the darkness, the sound of water echoing off down the distance pipes, but Pennywise’s cheerful and fun presence is intriguing. He jokes with Georgie, pausing menacingly to tell the audience that this is no friend to the young boy crouched before him. As Georgie gets up to leave, feeling a little wary of his new acquaintance, Pennywise stutters slightly, struggling to think of a way to keep Georgie’s attention. It’s a small little detail, but one that sticks in my mind. Skarsgård doesn’t just say the line, he lives it like a real moment. A subtle stumble tells us all we need to know about the clown in the drain, IT doubts! And this give us our antagonist, a powerful and deceitful creature, but one that is not beyond defeat. Pennywise is a fearsome creature, with his goofy mouth drooling over his prey, and his crazy lazy eye, his presence is ever felt within each of the scenes. IT appears as a number of different creatures throughout the film, some reaching deep into the history of the creature, whilst others are imagined directly for the film. 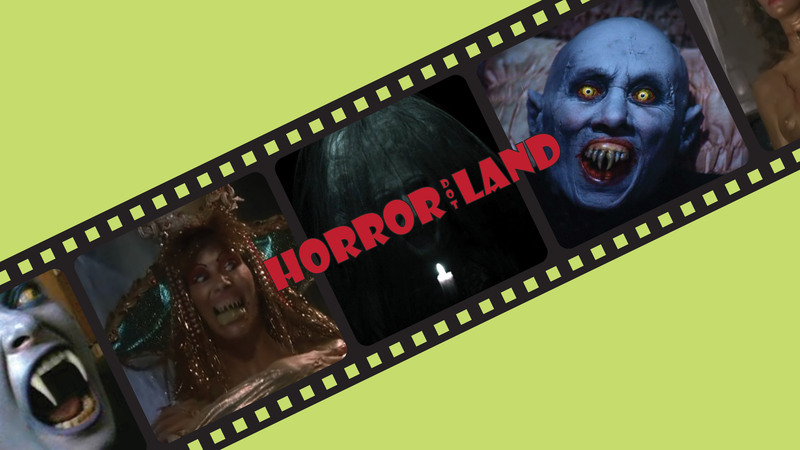 Whilst you won’t be seeing any mummies and werewolves ( Universal have plans for them!) you’ll not miss them as the horrifying creations that replace them are actually more scary. And talking of scares, the film has plenty, with a couple of jump scares that even caught me out. The films finale, which see’s Pennywise facing off against the Loser deep into the maze of Derry’s sewers, is a powerful and emotional sequence. The loser fight with what ever they can find lying around, whilst ‘IT’ shape-shifts quickly between manifestations, trying to invoke fear within the small band of kids. It’s a wonderful scene that shows Pennywise fighting for Its own life, finally having the tables turned on the child-eating creature. The films end leaves things a little vague, clearly keeping things open for the sequel. But at the same time, it’s clear that it could have stood up as a stand alone film, if New Line had decided not to make a follow-up. Luckily for us, we will be getting more, as production for “Part 2” has already begun, with a potential 2019 release date. 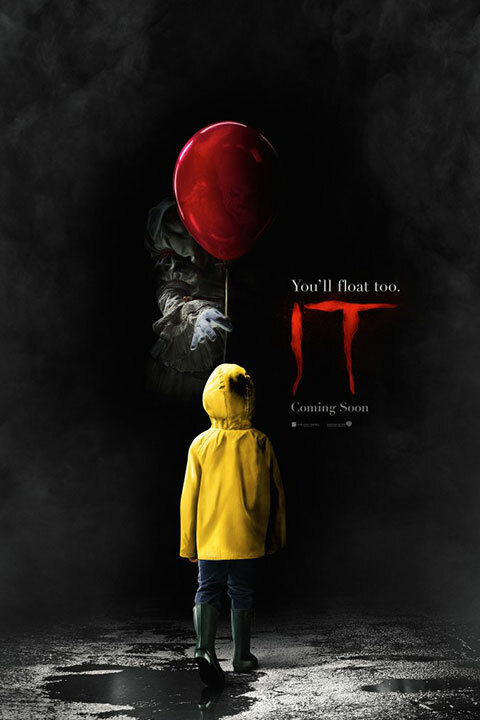 With a great cast, fine script and a chilling sound track by Benjamin Wallfisch, whose provided music for a number of award winning films this year, ‘IT’ presents us with possible one of the finest creature features since the late 80’s. The loser were beautifully realized in a funny, charming and terrifying script and Bill Skarsgård’s performance as Pennywise blew me away, leaving me wanting more of the demonic dancing clown. It’s a treat for the eyes and ears, and should leave you many sleepless nights, as the dark presence of Pennywise is terrifying. I can’t remember the last time I was excited about going to see a film for a second time, but ‘IT’ has done this. Yep, ‘IT’ is one of the finest horror films I’ve seen in a good few years. You’ll enjoy it so much…You’ll float too!